The big dirty not-a-secret secret of modern game development is that it costs more than ever, but people absolutely refuse to pay more than they did ten years ago for games. This has led big gaming powerhouses like Ubisoft, Electronic Arts and yes, Activision-Blizzard to embrace the concept of in-game stores, where one can spend real life money on in-game benefits. Sometimes these purchases come in the form of randomized loot boxes, which we’ve discussed here before. But a lot of companies have moved into straight up letting you buy things — pets, mounts, sprays, gear, and items for the game you’re playing. Of the games I’m obsessively playing at the moment, Diablo 3 does not have anything like this just yet (the Real Money Auction House will be a topic for a future post but it wasn’t really the same thing), while both World of Warcraft and Assassin’s Creed Odyssey have various items you can buy. One thing that ACO does that Blizzard doesn’t is that they sell actual buffs to your in game gold acquisition and XP gain. I find this abominable in ACO and I’m very glad Blizzard doesn’t do it. But why do I feel like Blizzard is any better when they absolutely do sell gold for money? Okay, it’s not their gold — it’s the gold other players have generated playing. Does that make a difference? 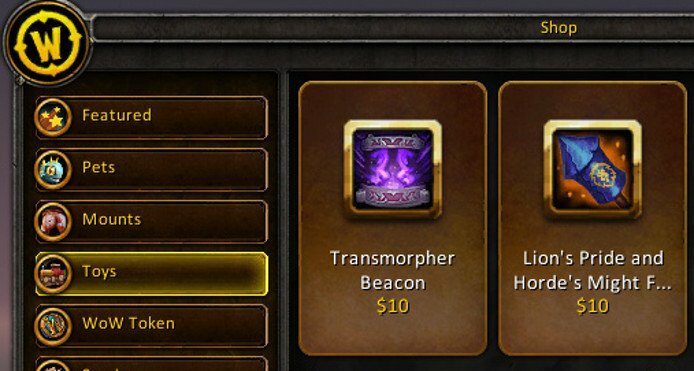 Blizzard does sell a host of options like character services including level boost (which is fundamentally much the same as XP gain, except it’s a one-time benefit, not a permanent buff, and it only goes up to within 10 levels of max), realm and faction transfers, and even character changes such as the ability to change your character’s race and gender. They also sell in game pets, mounts, and have in the past offered in-game transmog items, but unlike ACO they don’t sell actual gear that’s for equipping and use in game. There are multiple gear sets in ACO that are most easily acquired entirely through simply buying them — they can be acquired by playing the game and trading in currency specially earned via quests, but it’s a much longer road because the items available are randomized and you have a cap on how much you can gather in a week. In general, I prefer Blizzard’s approach. Now, I have played the heck out of ACO and I love it, but the temptation to spend money on things like a gold boost, a pack full of crafting materials or the XP boost (especially in a game which has 99 levels and a mastery system that makes XP almost eternally useful) is always there. There are other microtransaction systems I’ve heard praised — Fortnite, for example, I’ve seen people say they like but I’m not a big Fortnite player. Still, I’m seeing another XP bonus for sale in that game, and I’m not a fan of that. But why am I okay with a level boost for sale, and not an XP bonus? Because in part the XP and in game money and materials boosts managed to make me feel used in a way that selling a faction change or a realm swap or level boost doesn’t. 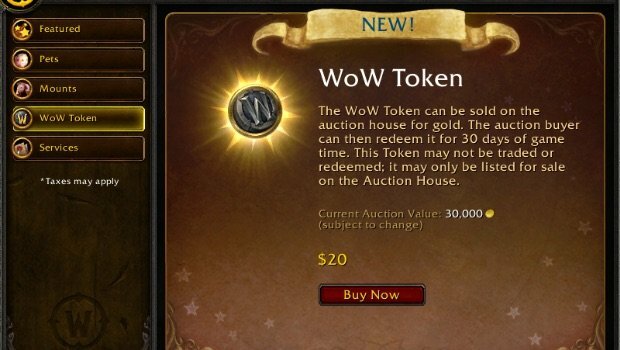 Somehow, I don’t feel like I need to buy a WoW Token in the same way that I feel pressured to spend money for a money boost in other games. How did they manage this? For starters, the XP boost seems more valuable in a game where XP is almost permanently useful, whereas in WoW the level boost is just to get you to the level of the current game. I mean, WoW is fifteen freaking years old and it’s a lot to expect people to play through all those strata of previous expansions — it’s less like playing and more like game archaeology at this point. I feel like buying the XP boosts is more like paying to win, whereas getting a level boost is just paying to not have to perform an excavation into virtual dig sites to display gameplay from 2009 at this point. But I’m aware that this could be seen as hypocritical on my part. There’s also the fact that a lot of the time I go in to a game store intending to buy, say, one pet for my wife or a simple mount and I end up blowing twenty or thirty bucks. 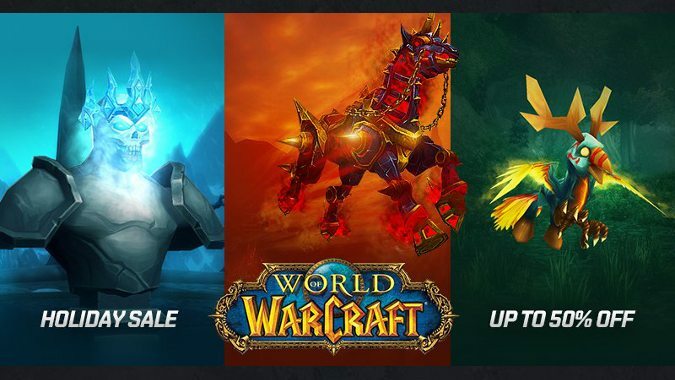 Blizzard is masterful at doing this and making it feel like I got a deal with bundles, and other game stores try and but simply aren’t as good at getting me to feel like I got a bargain. And part of that is making it feel optional. 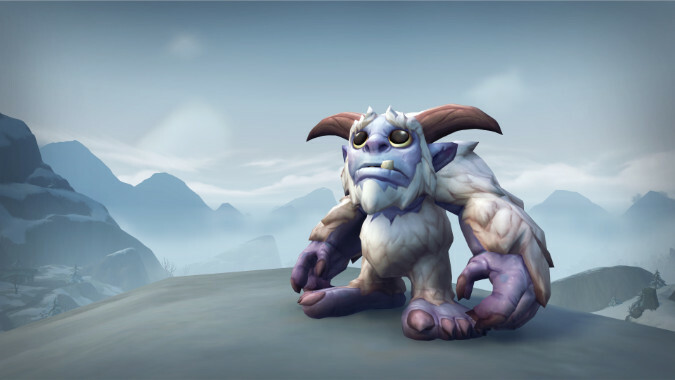 When we saw toys finally on the store in WoW, I was all for it entirely because I will never in a million years buy them. This is my favorite type of microtransaction — one I can ignore completely and never feel like I’m missing something. Blizzard, to my mind, feels more like this than other game studios — I felt very much like Bethesda wanted to feel like that in Fallout 76 but the Atom store was ultimately just not as polished or well thought out to start. I’m aware that for some people, completionist collection means that this doesn’t feel as optional — they’re going to get every pet and mount because it’s part of what they love about the game. But I’ve felt able to ignore almost every single item Blizzard has ever put on their store, and that even includes the transmog helms recently removed from it — despite my being a massive transmog fiend, I never once felt like I had to buy those items. A better soft shoe with the snake oil? It almost doesn’t matter if the microtransactions are really optional, as long as they feel like you can ignore them enough that you actually will ignore them. I’ve paid for a lot of character services over the years, but I never complained about it or felt forced to do it — sure, I was faction changing and realm changing to raid with a new guild instead of leveling a new warrior on a new server, but that was my choice, right? Blizzard didn’t make me do it. I could have spent that time and effort instead, but I chose to spend that money to get it done faster. And so Blizzard got my money and I felt like I had a choice the whole time. Now that I put it like that, maybe I kind of hate Blizzard’s microtransaction system. But it’s still fascinating to see how well they’ve played me over the years, I suppose. And I think it’s worthwhile that they’ve always made sure that the things they sell have felt optional, while also having rewards beyond power ups — they save you time, let you feel like you’ve donated money to charity while hugging a baby Yeti in game, let you give a friend or loved one a mount they wanted. There’s a lot of depth built into how the store works that other companies would do well to pay attention to and emulate.